The active design means no need for external amplification – the 19cm tall DS-1 cabinet houses all the power you need. 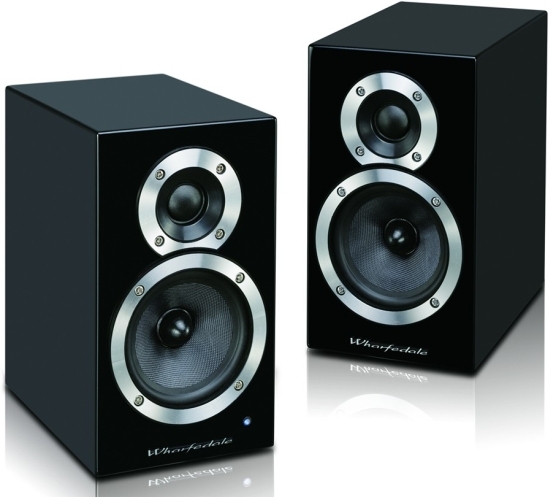 The audio engine here is a high-performance DSP-based digital amplifier, which has been carefully matched to the DS-1’s classic Wharfedale drivers, and its maximum output rates at 14 watts. So, more than enough for room-filling duties. Wharfedale also builds-in aptX-capable Bluetooth technology, enabling high-quality streaming between suitably equipped devices, such as smartphones and tablets. Handily, paired devices will continue operating at up to 10m barrier-free distance – so a user can hold on to the connected device whilst away from the desk. Pairing a Bluetooth device with the DX-1 is a simple process, and even simpler for those with NFC-capable equipment, such as smartphones, including the Samsung Galaxy 5. Simply bring the handheld device into close proximity (no more than just a few centimetres) or gently touch the DX-1 with the device and the Near Field Communication technology establishes a secure Bluetooth connection. Job done. Past performance may not be any guarantee of future results in the world of investments, but when it comes to speaker design it’s no bad thing. In 1981 the Wharfedale Diamond, with incredible performance from its unassuming small cabinet, changed the face of the loudspeaker forever. Now the DX-1 takes the company’s expertise with all things sonic and small, bringing Wharfedale’s superbly musical sound to the latest generation of music devices and hopefully, no doubt, an entire new generation of Wharfedale fans.